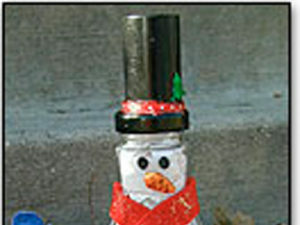 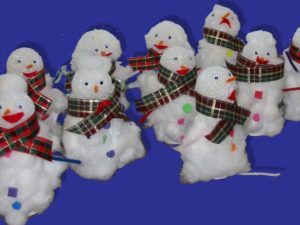 Learn how to make a snowman using toilet paper rolls, cotton and found objects. 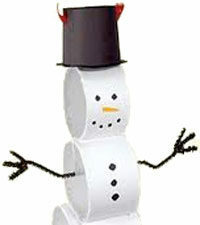 This cheerful snowman will greet visitors as they come in the door. 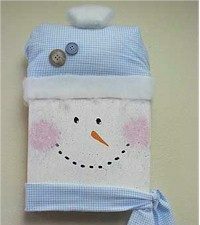 Hang him on the door, in the entryway, above your kitchen counter, wherever his cheerful face fits best! 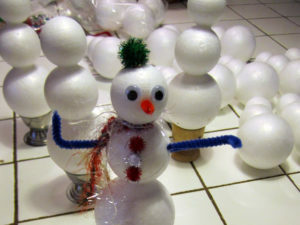 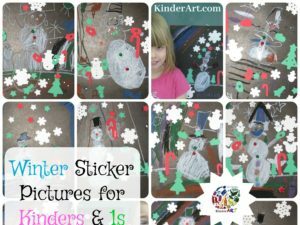 This is a quick and easy way to make a cute snowman craft using readily available materials. 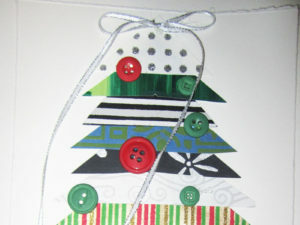 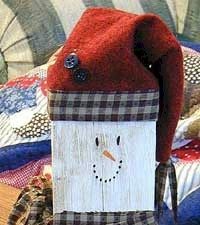 Make a cute holiday craft using scrap bits of wood. 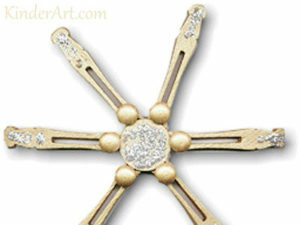 Students will create a cross between a star and a snowflake using clothespegs.